How cute is this. My son had a project to make a game for his class. He decided he wanted to do Multiplication. He created this game (with a little help, only answering questions) It is really good! 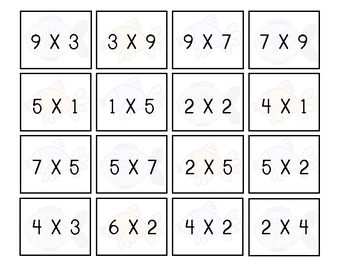 The children choose a card and solve the multiplication problem. If the answer is in the fish bowl they are able to move ahead to that fish bowl. 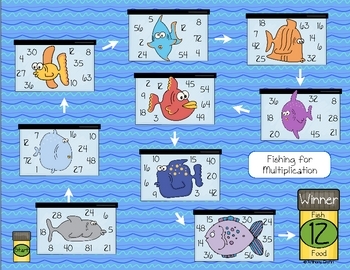 They must complete the fish bowls in order and the first person to reach the fish food is the winner. There are 4 game boards. 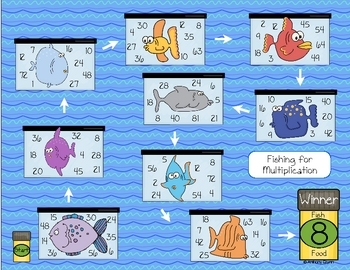 The last game board allows the children to decide what number they must solve to be the winner. 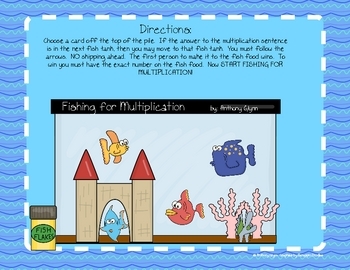 As Anthony would say, Happy fishing for multiplication!